1. Add/Update Subscribers: Imports a list of new and existing subscribers. 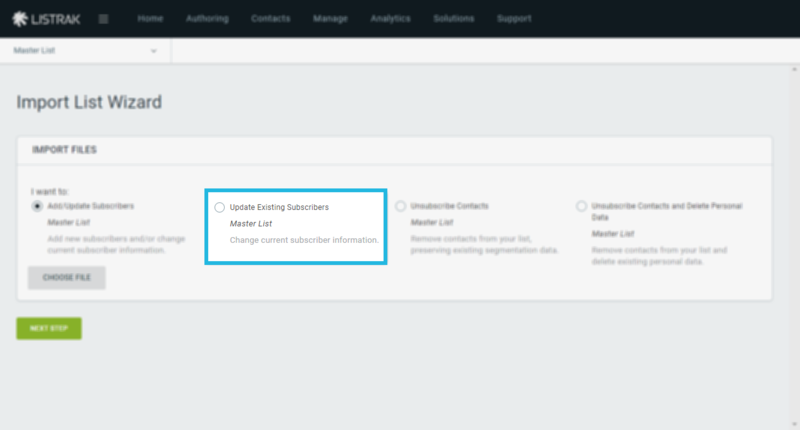 You can add, update, or overwrite the contacts you want to subscribe. NOTE: This option will import the entire file whether or not the contacts are already on the list. 2. Update Existing Subscribers: Updates only subscribers that are currently on the list. If you have 100 contacts to import, of which only 75 are currently on your list, only those 75 contacts will be updated. The additional 25 contacts that do not match any records on the list will be disregarded. 3. 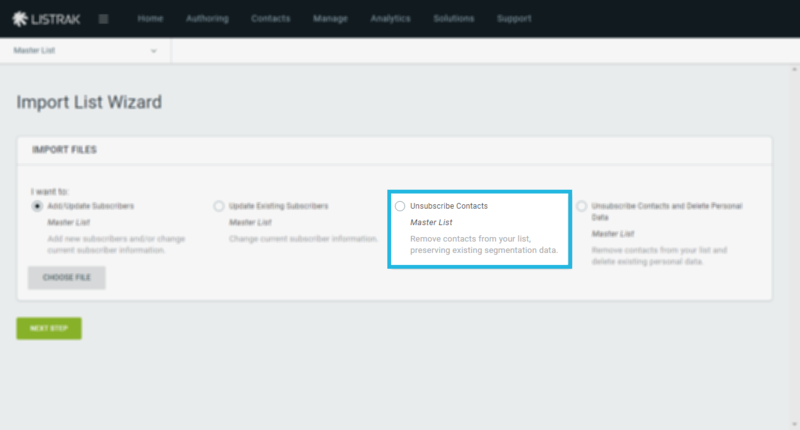 Unsubscribe Contacts: Removes customers from the list. 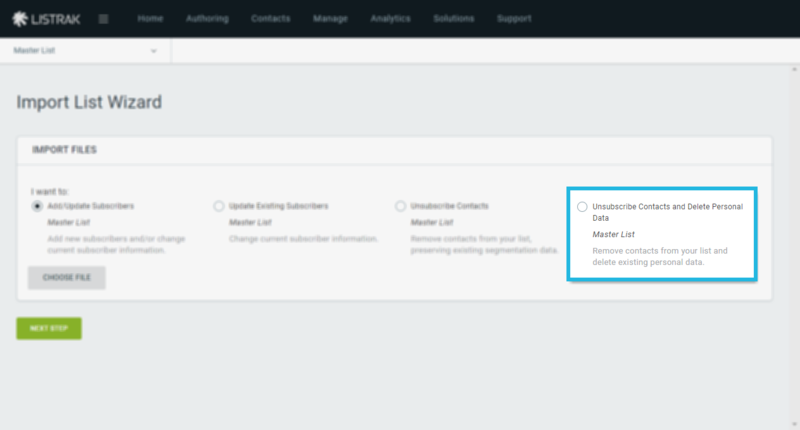 Use this option to unsubscribe a list of contacts. 4. 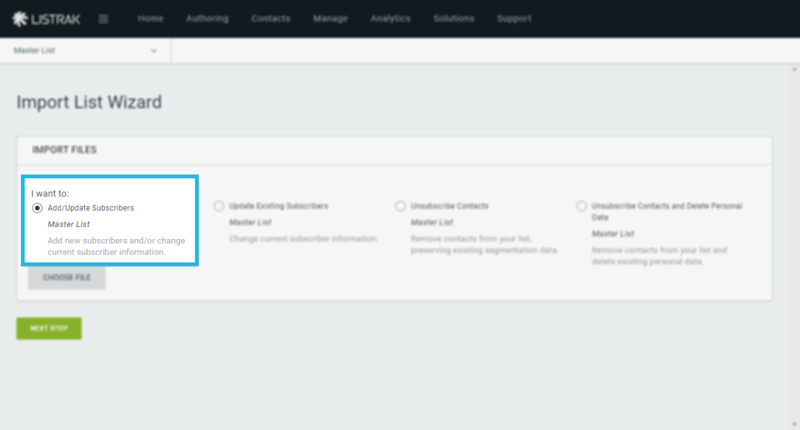 Unsubscribe Contacts and Delete Personal Data: Clear our profile data on the current list. Please contact the Listrak Client Success Team with any GDPR right to know or right to removal requests.